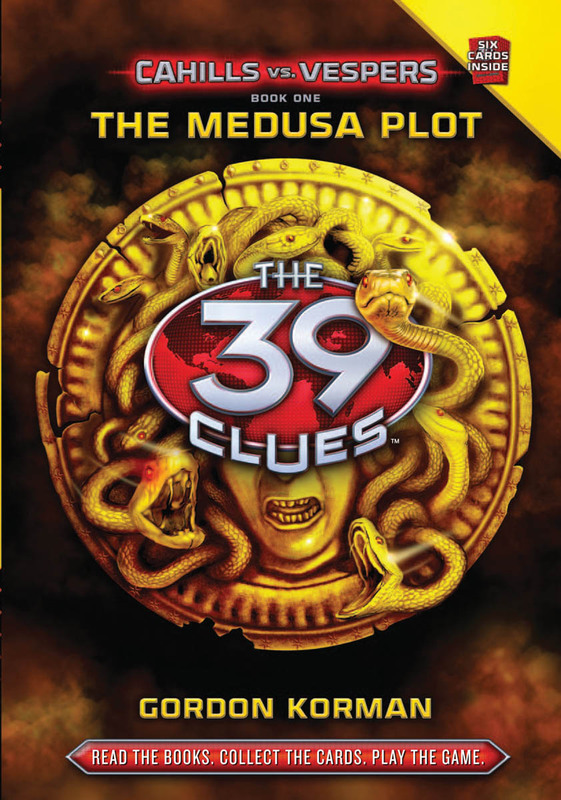 The Medusa Plot is the first book of The 39 Clues Cahills vs. Vespers series. The book is by far my favorite book of the series because it is so action- packed. Dan and Amy thought that as soon as they completed the Clue hunt, they could live normal lives. And they did, for a while. Amy also managed to reunite all of the Cahills and set a training plan in motion. She hired training instructors and set up a gym in her grandma Grace’s old house. Everyone was doing fine until distress calls were sent from Cahills all around the world. It turns out that 7 Cahills from all around the world have been kidnapped at the same exact time. They are being held hostage by a group of people called the Vespers. The Cahills who have been kidnapped include Amy and Dan’s guardians Fiske and Nellie. The Vespers send Dan and Amy on a wild goose chase, getting them to steal things for them. They then tell Amy and Dan to steal the famous Medusa painting from a museum and if they don’t deliver it to them within a certain amount of time, they will kill one of the hostages. Will Dan and Amy be able to steal the Medusa and save the hostages?